Jeremy Filsell is widely recognized as one of very few performers who concertizes equally as organist and pianist. He has appeared as a solo pianist in Russia, Scandinavia, the USA, and throughout the UK. His concerto repertoire encompasses Mozart and Beethoven through to Shostakovich and Rachmaninoff (1st, 2nd, and 3rdconcerti). He collaborates frequently with Wanamaker Grand Court Organist Peter Richard Conte in performances of Rachmaninoff’s Second Piano Concerto with the organ serving as the orchestra. Dr. Filsell’s discography comprises more than 25 solo recordings. He has recorded the solo piano music of Herbert Howells, Bernard Stevens, and Eugene Goossens for the Guild label, Rachmaninov’s piano music for the Signum label, and French Mélodies with Michael Bundy(baritone) for the Naxos label. Gramophone magazine said of Filsell’s premiere recordings in 2000 of Marcel Dupré’s complete organ works that it was “one of the greatest achievements in organ recording.” In 2005, the Signum label released a 3-disc set of the six organ symphonies of Louis Vierne, recorded on the 1890 Cavaillé-Coll organ in St. Ouen, Rouen. Dr. Filsell has taught at universities, summer schools, and conventions in both the UK and USA and has served twice on international organ competition juries. Recent solo recital engagements have taken him across the USA, the UK, and to Germany, France, Finland, and Norway. 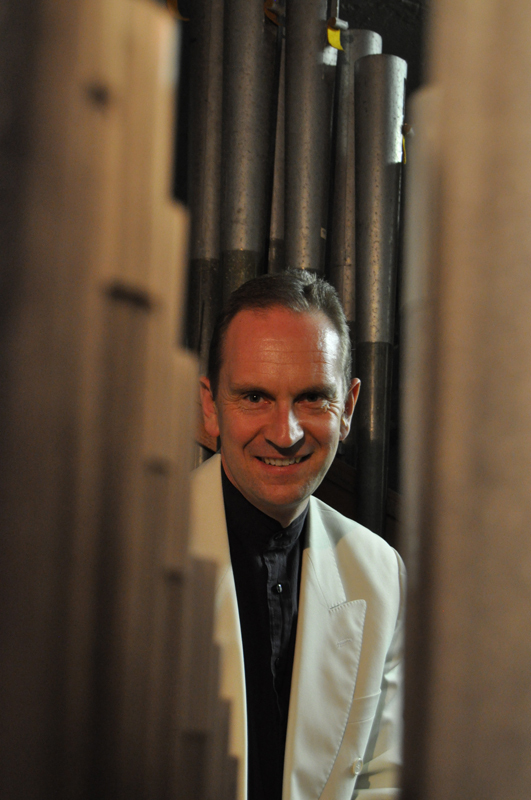 Jeremy Filsell studied organ at Keble College, Oxford before completing graduate studies in piano performance at the Royal College of Music in London. He was awarded his PhD at Birmingham Conservatoire/BCU for research of the music of Marcel Dupré. Prior to moving to the U.S. in 2008, he held lectureships at London’s Royal Academy of Music and the Royal Northern College of Music in Manchester and was a lay clerk in the Queen’s choir at St. George’s, Windsor Castle. He currently serves as artist-in-residence at Washington National Cathedral, director of music at the Church of the Epiphany, and Professor of Organ at the Catholic University of America, all in Washington D.C.
Jeremy Filsell is represented exclusively by Phillip Truckenbrod Concert Artists, LLC.